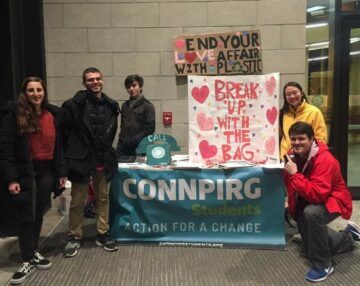 CONNPIRG students continue to run campaigns to get their communities and campuses closer to our vision of zero waste. 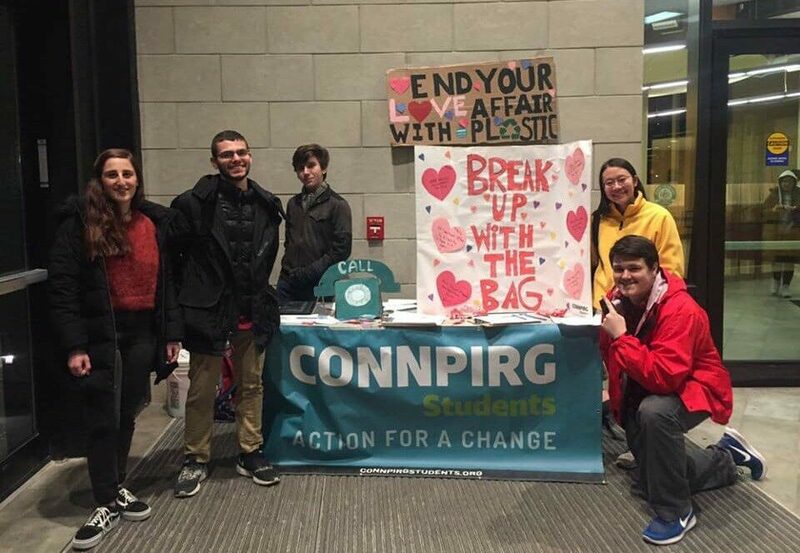 Over the past few years our chapters have advocated for a plastic water bottle ban and bag ban at UConn Storrs, and worked on campus to increased recycling and education at Trinity College. 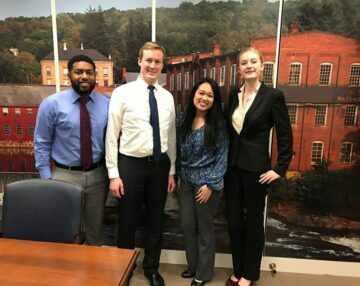 CONNPIRG worked to pass the original Bottle Bill back in 1978 to reduce the litter caused by beer and soda containers. It was updated in 2009 to include water bottles, and today, 70% of containers covered under the Bottle Bill are recycled. CONNPIRG has also been instrumental in advocating to shut down Connecticut’s oldest and dirtiest power plants. In collaboration with our friends at MASSPIRG, we launched a campaign to ask Dunkin Donuts to phase out their use of their foam cup. 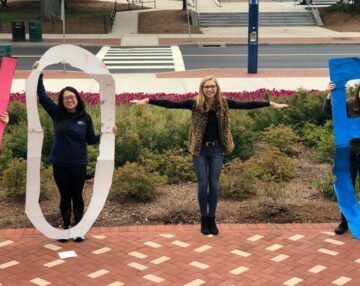 After about 1 year of petitions, calls to headquarters and social media actions- Dunkin’ made a global commitment to stop using foam by 2020!